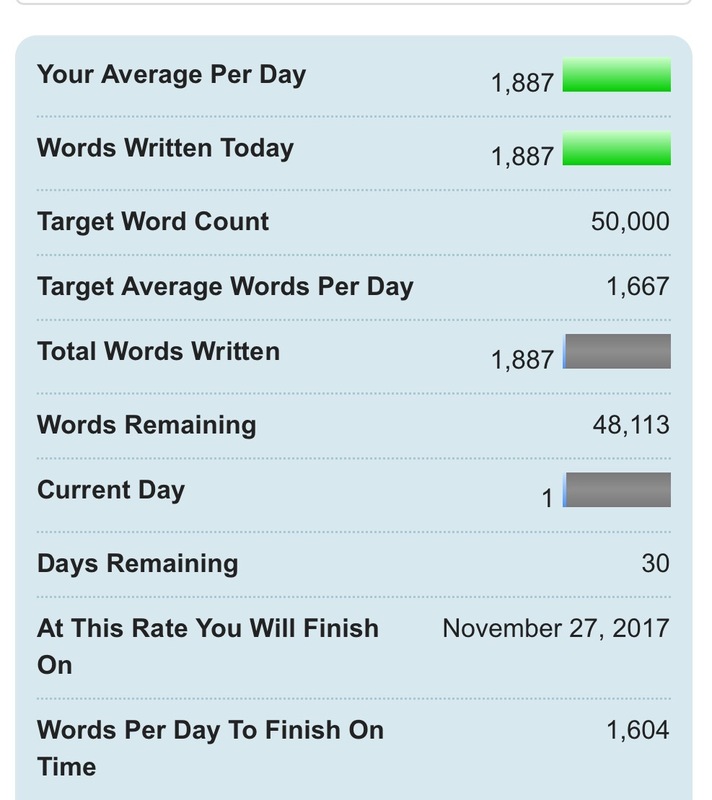 Missed updating last Wednesday which was partially because I forgot and partially because I was exhausted after being away for a work conference and still getting some words down. Consequently I then ended up having a few days of NaNOWORDS so had to catch up at the weekend. As of Tuesday night when writing this I have 35,000 words so 15,000 to go. I have a couple of train journeys over the next two days so hoping to reach 40,000 if I can. Then if I do manage to join in with my regions 10k day I could get it won by Saturday. I have a feeling that the story will be done by around 50k too. Why is it that when essay writing I always go over when fiction writing I’m under? Oh I know it’s because I do the dialogue and forget about other bits. Which means for me editing is probably partially about additing. If I do finish Saturday I’m going to switch to writing 500 a day approx on a middle grade story.